Ox Bow in NE Tallahassee is one of many popular areas that have a local name yet are not defined by the Leon County Property Appraiser. 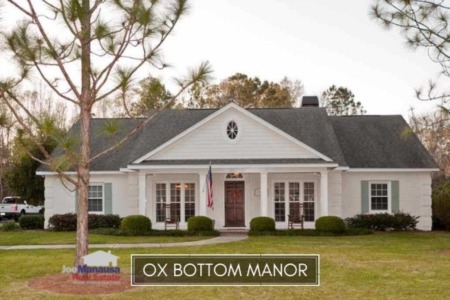 For the purpose of bringing our readers both listings and a market report, we'll group the properties in Ox Bow Estates, Sleepy Hollow, Ox Bottom, and Quail Ridge as the homes that comprise the "Ox Bow" area. As Ox Bow is a relatively small community, you might occasionally find zero listings below. We have a direct feed to the MLS, updated 96 times per day, so you can be sure that this is the most accurate source of information about current listings and sales in Ox Bow. Situated along the highly prized Thomasville Road corridor, Ox Bow offers large homes on acre plus homesites. Of course, the real prize of living anywhere in the 32312 zip code is the trio of A-rated schools. In the remainder of this report, we have provided graphs to show trends in home prices, home values, and home sizes in Ox Bow, as well as a sortable table of more than 230 closed home sales going back to 1991. It is important to note that the narrative contained below is for sales through December for all previous years, but through the first two weeks of February in 2018. The graphs and the closed sales table will be continuously updated into the future (meaning bookmark this page if you always want to know the current status of homes in Ox Bow). Average home prices in Ox Bow finished 2017 at $742K, and we are expecting far fewer available homes here in 2018. Due to these prices, homes in Ox Bow remain in a buyer's market, so buyers should enjoy it while they can. The pace of home sales in Ox Bow has been solid over the past six years, with unit sales only 10 to 15% slower than what we observed in the late 90's. Remember, the sales in the graphs you see in today's report ONLY include existing homes, as no new homes were included to skew appreciation data. Currently, there is just one home for sale in Ox Bow, but we have a fantastic new listing (pictured at the top of this article) hitting the market tomorrow. 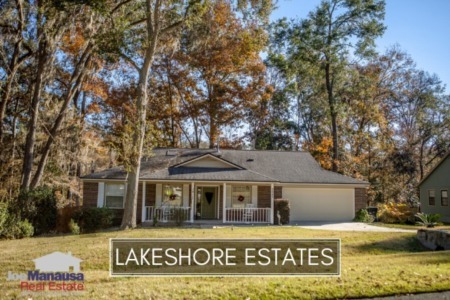 If you'd like to see it before other buyers have a chance, give us a call at (850) 366-8917 or drop us a note and we will get you in the home right away! You can "walk through it" below. Ox Bow home values rose more than nearly 8% in 2017 when compared to the average recorded in 2016, concluding with an average value of $179 per square foot. Home values have risen 44.4% since the bottom of the market in 2010. If you purchased a home in 2010 for $425,000, today it would likely be worth about $613,500. That's an increase of $188,500 in 7 years! This is an average annual appreciation rate of 5.4%, and definitely will make the 2010 buyers feel great! 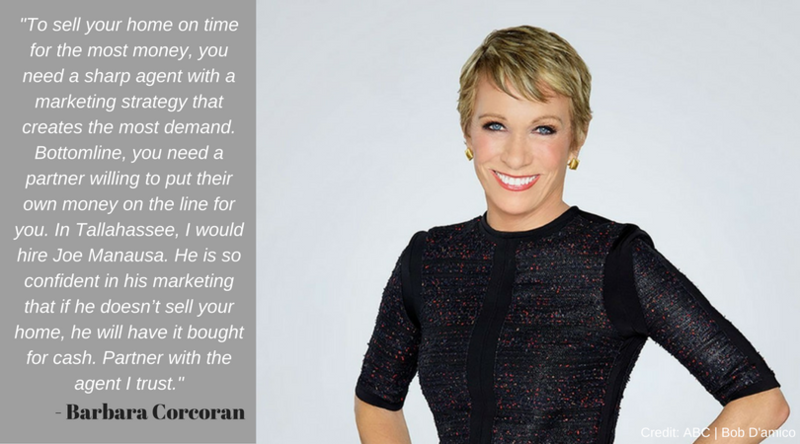 Don't you want that kind of talent working for you? 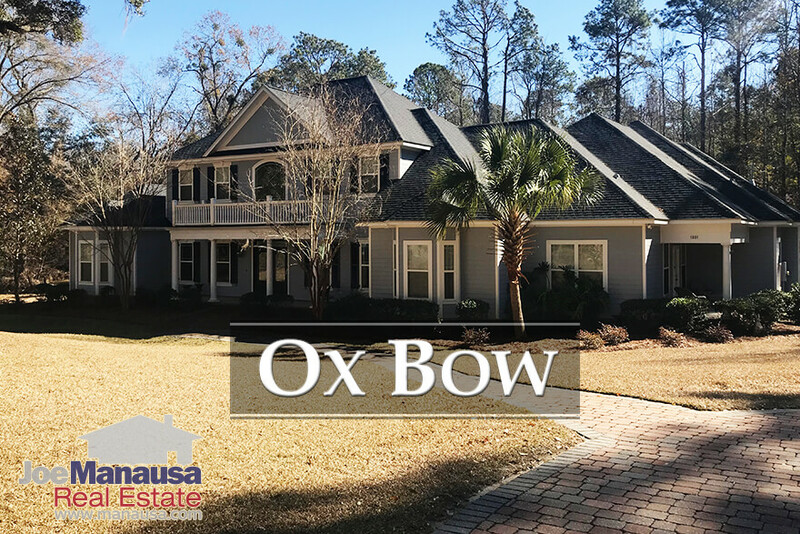 Ox Bow home sizes typically fall in a range of 3,000 to 5,000 square feet, and the sales in 2017 were above the middle of this range. No homes have sold in Ox Bow this year, but the average in 2017 was 4,362 square feet. The following list shows more than 200 home sales in Ox Bow going back to 1991. This concludes our February 2018 update on home sales in Ox Bow, please give us a call at (850) 366-8917 or drop us a note if you have questions not covered in this report. If you think we cover more in-depth information about Tallahassee and its most popular neighborhoods than any other real estate website, please be sure to share us with your friends!